Hey buddy. I think it's time you stopped doing cocaine. Not only is cocaine the gateway drug to becoming exceedingly boring and insufferable, but it could also be slowly killing you. I know it's hard to think of these things when you're having so so much fun and — oh, my god! Is that a Robyn song? — you think you're laying down some pretty deep thoughts on why you and I have never become better friends before now. Still, let's slow down and go over these new findings by the American Heart Association about how you're probably going to give yourself a heart attack. The American Heart Association has recently released a study on cocaine and its effects on heart health. Unsurprisingly, the effects are not good. 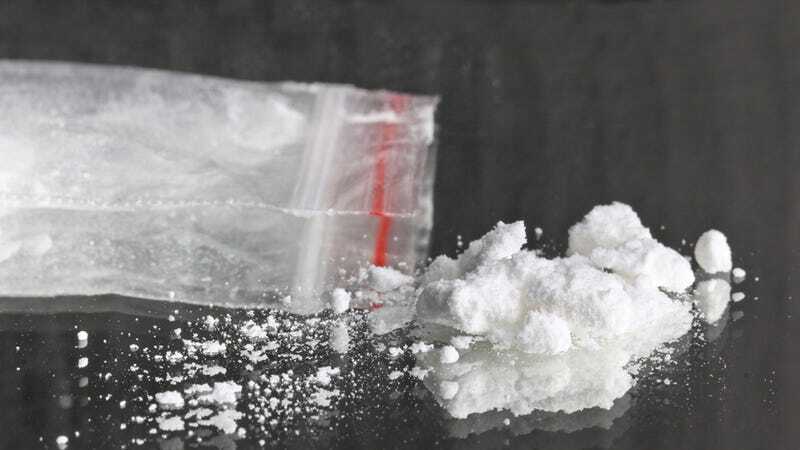 Recreational cocaine use can lead to high blood pressure, stiff arteries and thick heart muscle walls, all of which can cause major heart issues. The study was carried out by researchers on "20 otherwise healthy adults who chronically used the illegal substance. Compared with 20 non-users, cocaine users had higher rates of multiple factors associated with higher risks of heart attack and stroke." "It's so sad. We are repeatedly seeing young, otherwise fit individuals suffering massive heart attacks related to cocaine use. Despite being well-educated professionals, they have no knowledge of the health consequences of regularly using cocaine. It's the perfect heart attack drug." So, yes. If you're out blowing rails all the time, then you should definitely stop. Otherwise you could be giving yourself blood clots, hypertension and vascular stiffness. Further more, you could die and no one, no matter how boring you've become, wants that to happen.